After I took my daughter to the train station in Shimoda I took some pictures of the beach. 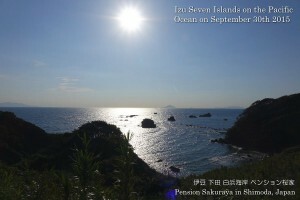 When I was taking pictures I was able to see Izu Seven Islands through the clean air. 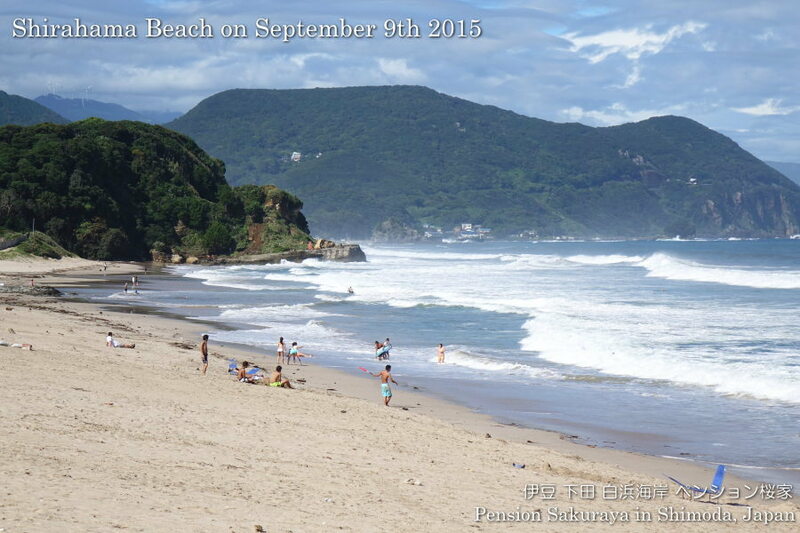 This entry was posted in beach on 2015年9月30日 by izusakuraya. Actually I forgot it but I remembered it when I went for shopping and found out the moon this late afternoon. 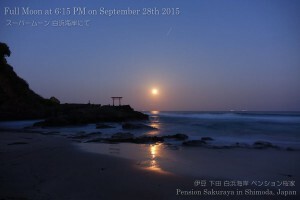 I went to the beach immediately and took some pictures of Super Moon. 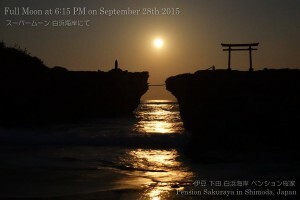 This entry was posted in 未分類 on 2015年9月28日 by izusakuraya. 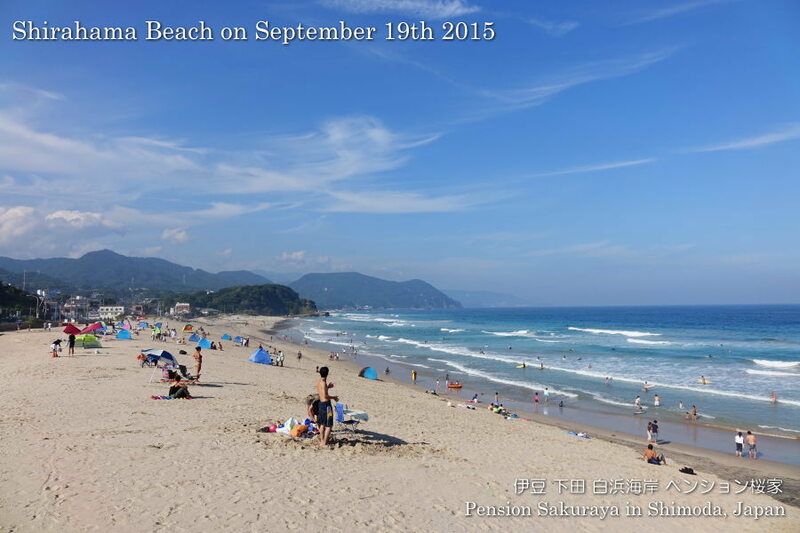 We had been very busy since 3 months ago, but the busy season has been over today. We had a lot of customers this summer, but we are very happy because we didn’t have any troubles and accidents. Thank you very much for staying with us this summer! This entry was posted in beach on 2015年9月24日 by izusakuraya. When I opened my eyes in my bed this morning it was 5:30 AM. 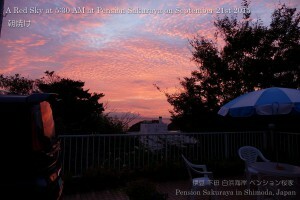 As I was able to see the red sun light through the window I went out and took this picture at the terrace. 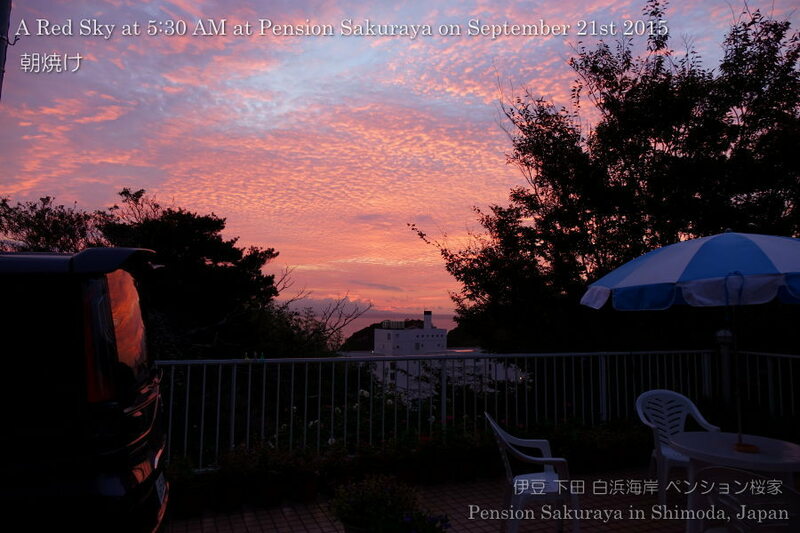 It was really beautiful red sky then. This entry was posted in nature, Pension Sakuraya on 2015年9月21日 by izusakuraya. I went to the beach this early morning to clean up as a member of the local community. 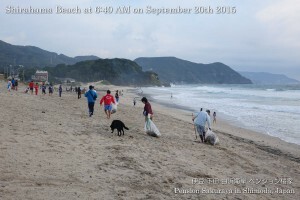 This entry was posted in beach on 2015年9月20日 by izusakuraya. The blue sky came back after a long time. After I finished cleaning the guest rooms I went to the beach. There was no good surfer when I was taking pictures. 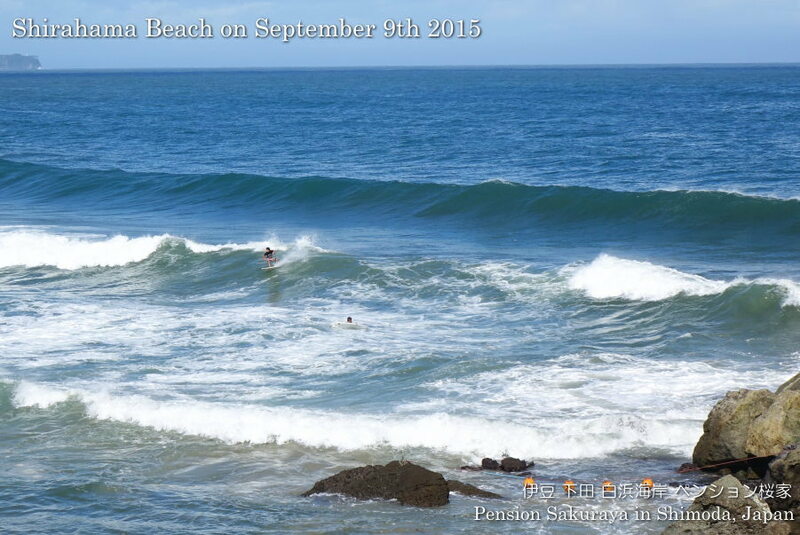 So I was not able to take good shots of surfing today. 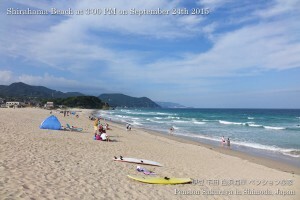 This entry was posted in beach on 2015年9月19日 by izusakuraya. 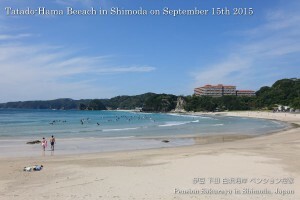 When I went to Shimoda for shopping I went to Tatado-Hama Beach to check the sea condition. 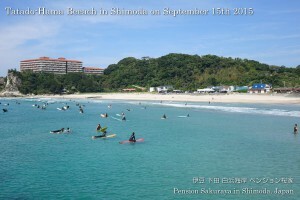 This is one of good points for surfing in Shimoda. Though we had very strong north wind again in Shirahama today, they didn’t have it. 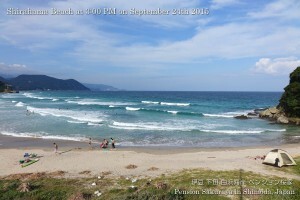 But the waves were not good for surfing today. 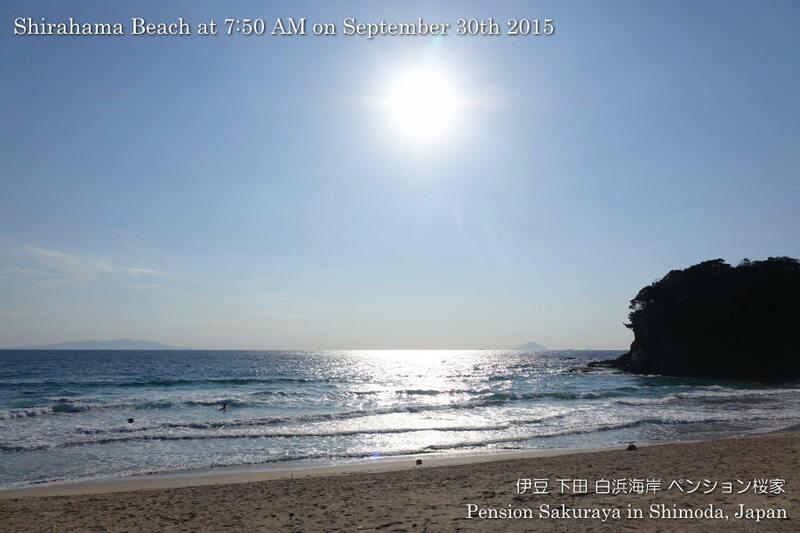 It means it would be better for swimming here. 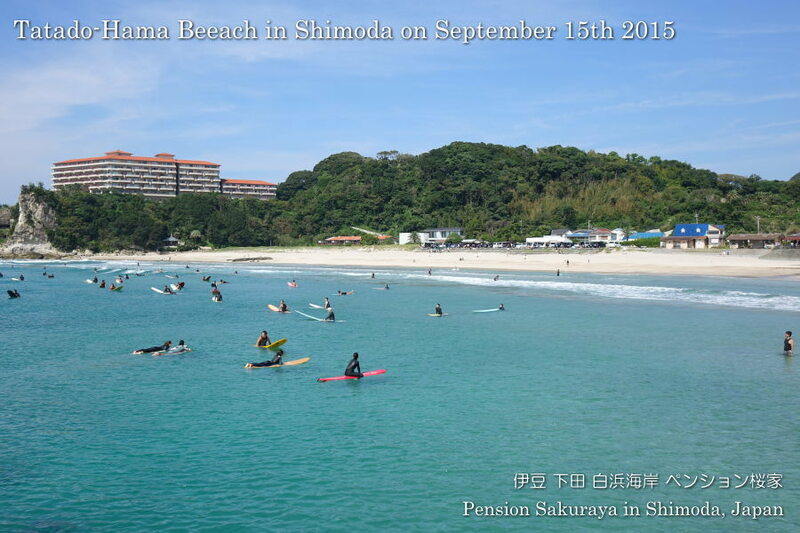 It takes about 20 minutes to get there by car from Shirahama. This entry was posted in 未分類 on 2015年9月15日 by izusakuraya. I took this video yesterday. It was sunny and we had no wind. 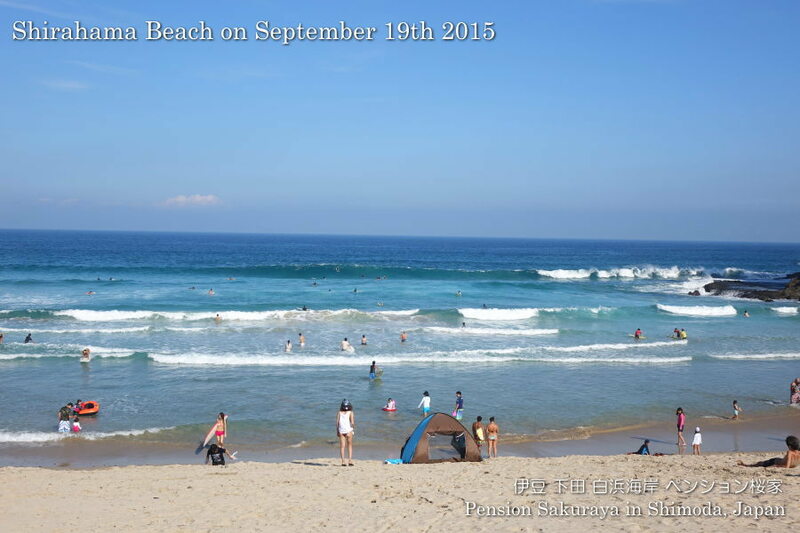 The beach was perfect for swimming under the clear blue sky yesterday. 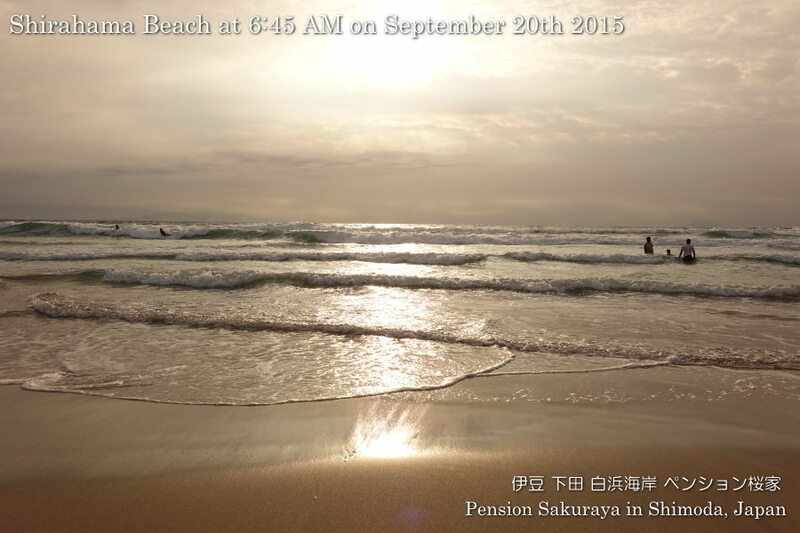 This entry was posted in beach, Video on 2015年9月13日 by izusakuraya. The clear blue sky came back after a long time! 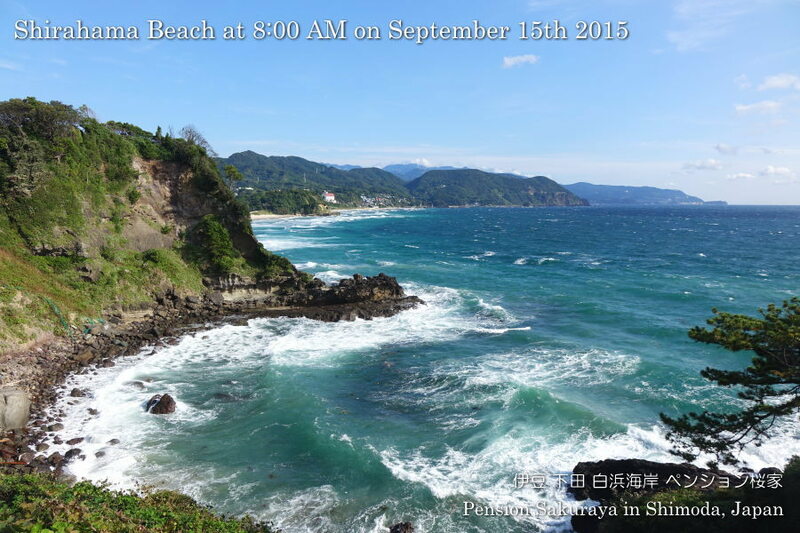 They had big waves after the typhoon past! 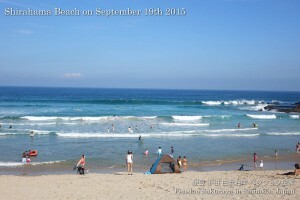 You can see the other photos which I took on the beach this afternoon on Facebook page! 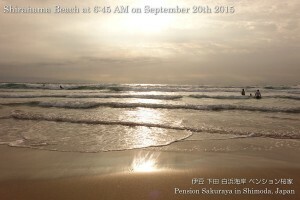 This entry was posted in beach on 2015年9月9日 by izusakuraya. 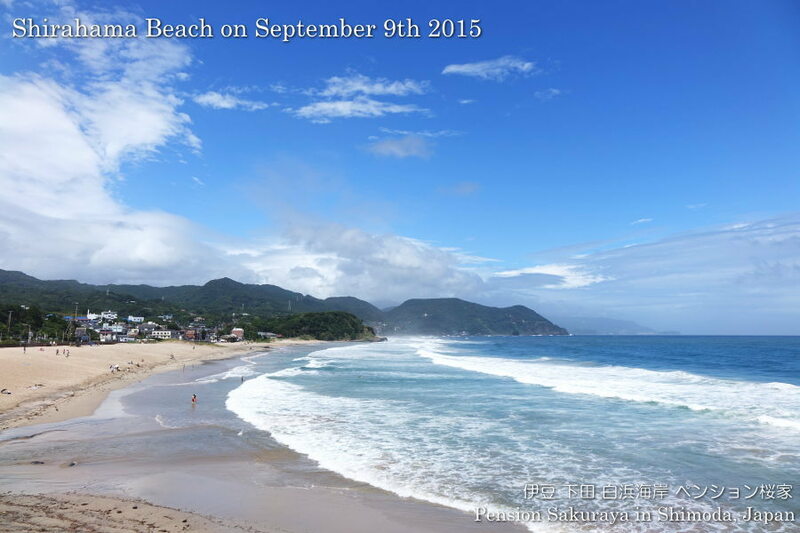 2015/09/07 Thank you for staying! 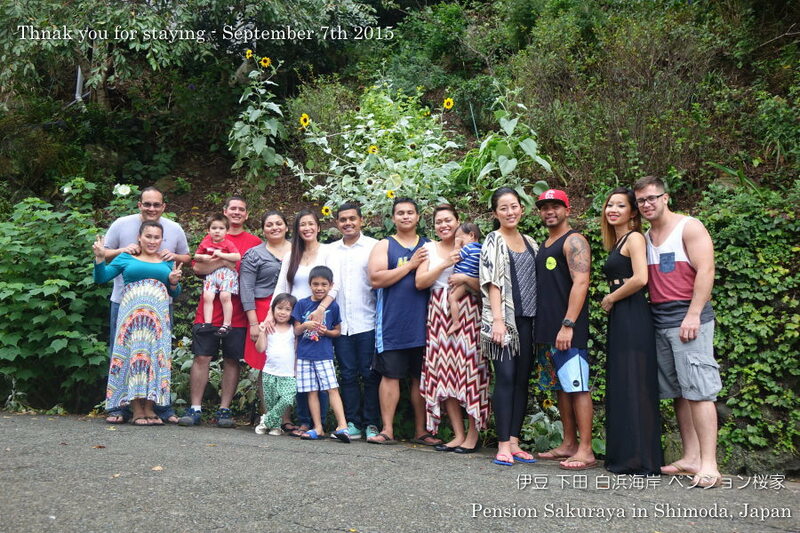 They came from Yokota airbase and stayed at Pension Sakuraya for 1 night. 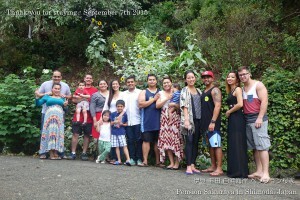 Most of them have stayed in last June and it was the 4th time for some of them. We had been worrying about the weather, but they didn’t have rain on the 1st day. We are looking forward to meeting you again. 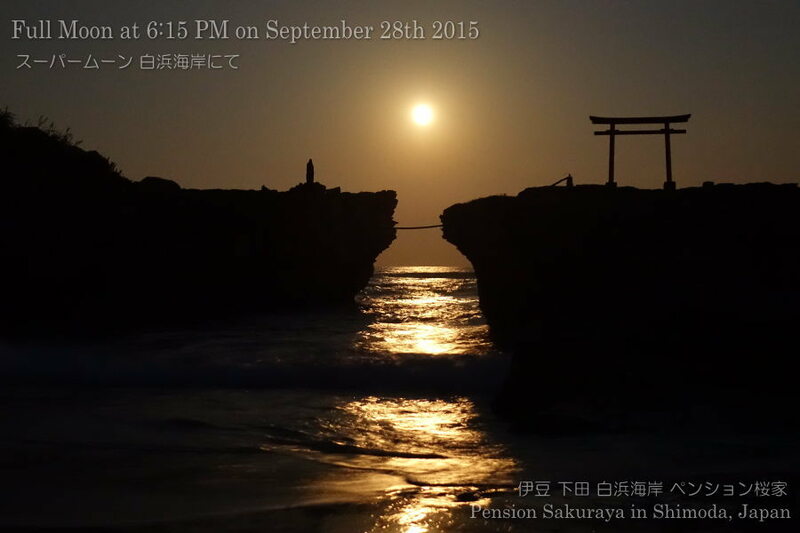 This entry was posted in Customers, Pension Sakuraya on 2015年9月7日 by izusakuraya.